Biker’s share a culture that is deep rooted to freedom, personality and DIY machine customization and building. That’s where we come in. 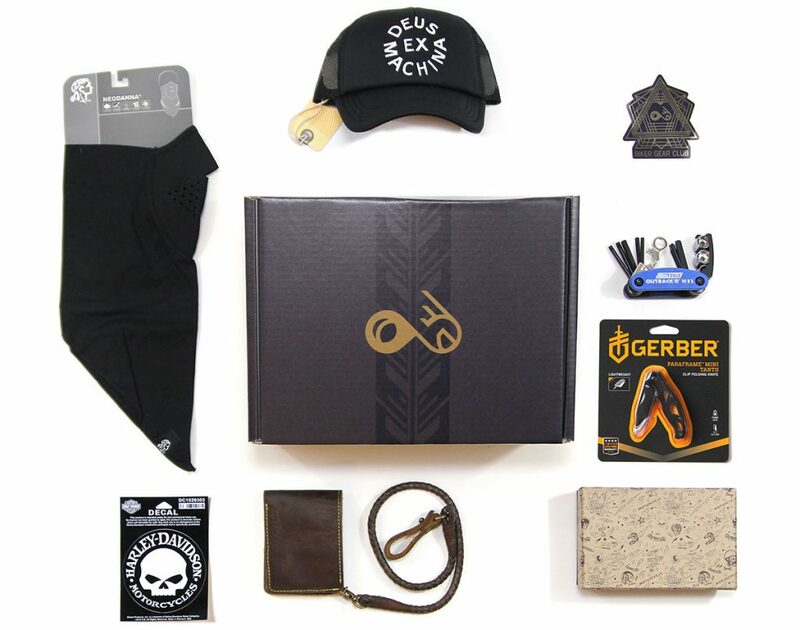 Biker Gear Club curated boxes contain a perfect blend between what motorcyclist lifestyle is and what motorcyclist need to work on their bikes. 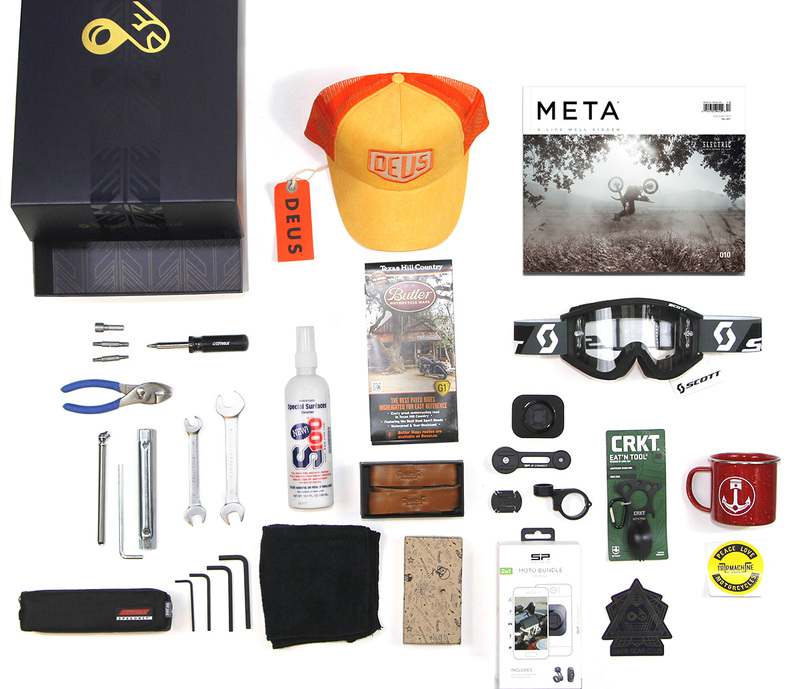 We are passionate about discovering new original brands and technology upgrades to benefit both your machine and your personal biker lifestyle. 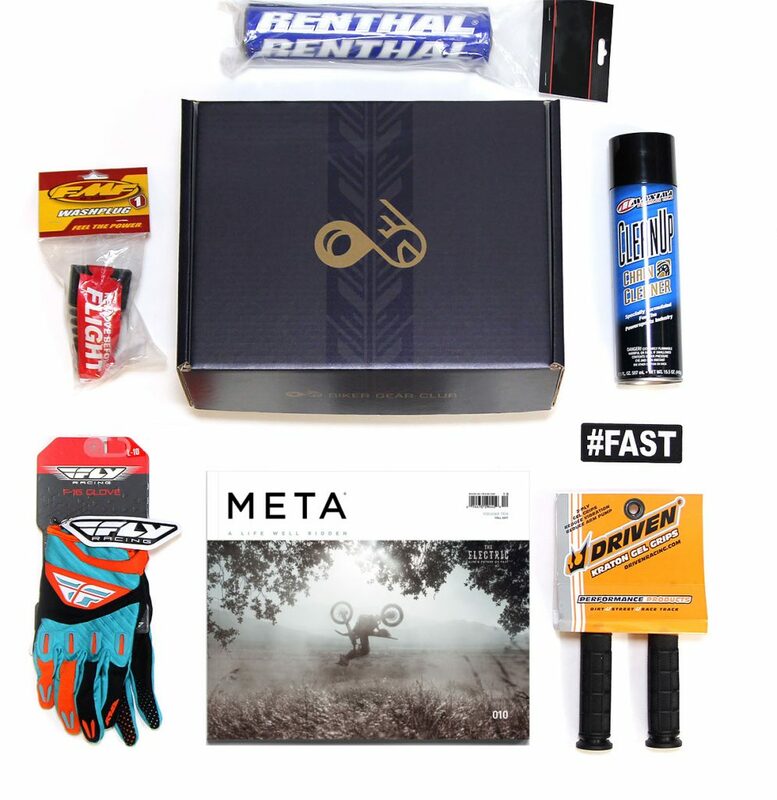 Our monthly and quarterly subscription boxes feature top quality gear. 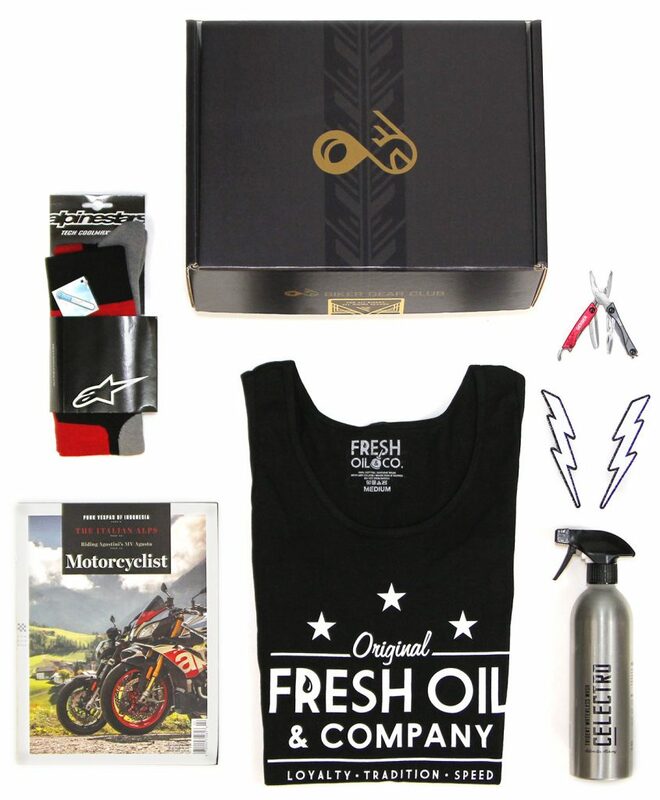 The zen of motorcycle maintenance with brand name bike cleaning supplies. 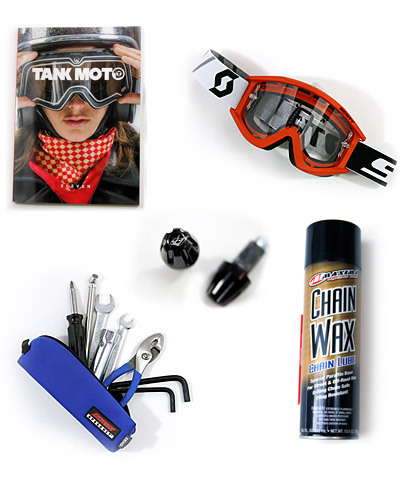 Quality universal tools and kits for all makes and models of motorcycles. 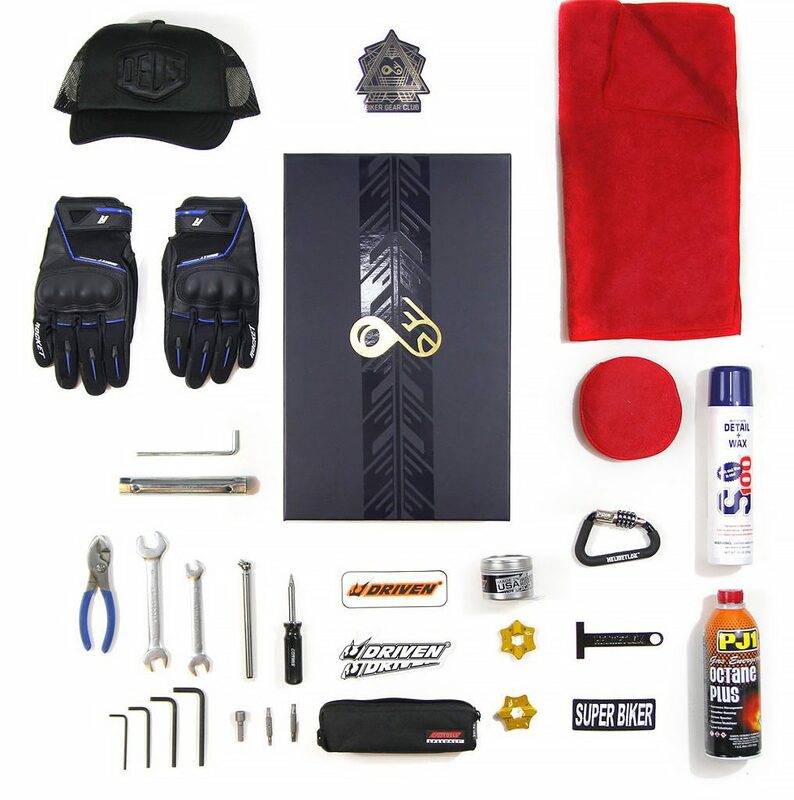 High-end parts that are catered to your bike’s make and model like grips, fasteners, signals, footpegs, and more. Classy biker books and mags collectibles and biker must reads. Designer lifestyle products, apparel and protective wear for you and your motorcycle. 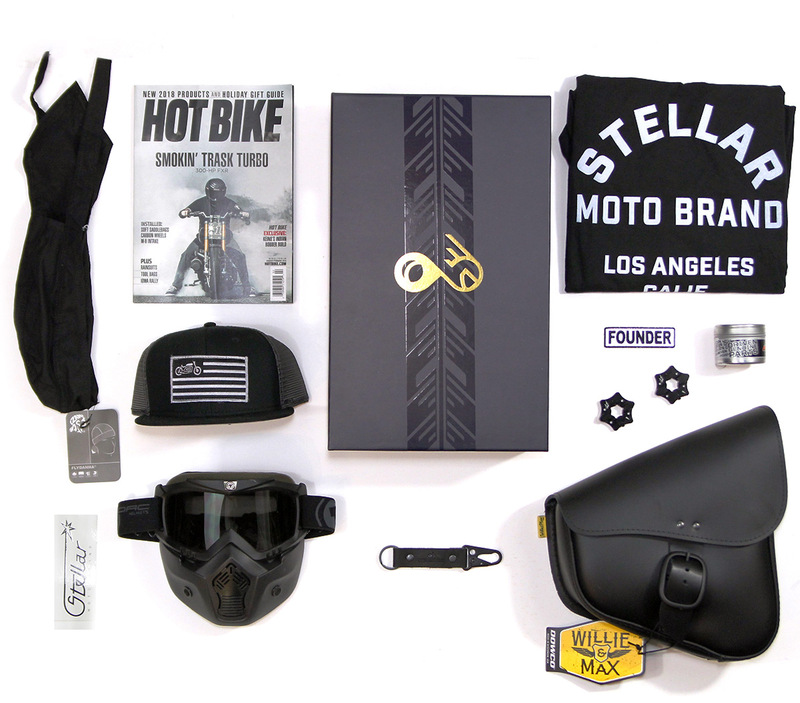 Each one of our boxes is curated for you based on what kind of motorcycle you ride and how you like to ride it. 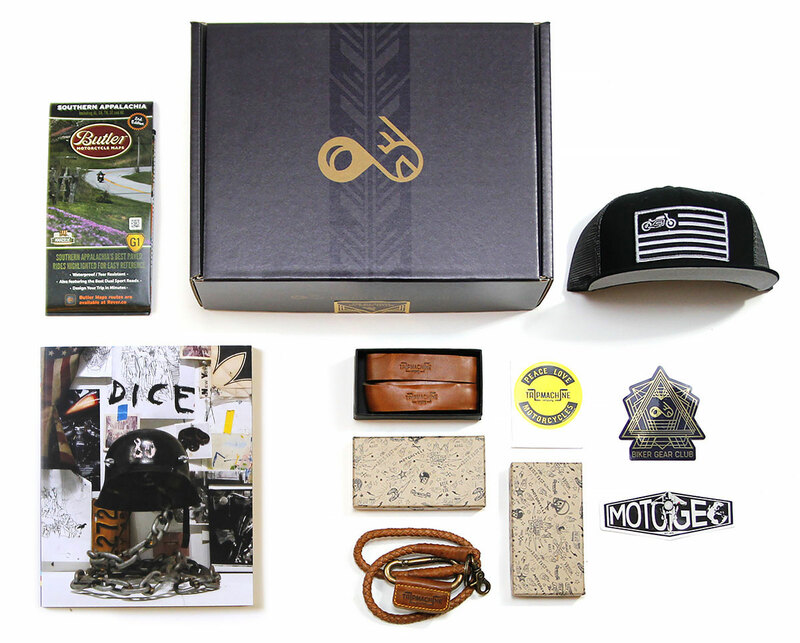 A look inside our curation process for a vintage & cafe racer quarterly box. The only exemption is when we might send a pair of boots or a super premium item. We went to Roland Sand’s Design to get you this perfect blend of classic style and function. With the ability to be used for layering or with a tee shirt in warmer conditions the Ramone vest is ready to ride. Featuring a vintage inspired design with key details that make this fashionable vest motorcycle functional. We teamed up with Australian based bookazine company Fuel Press to bring you what is one of the motorcycle industries most unique publications. 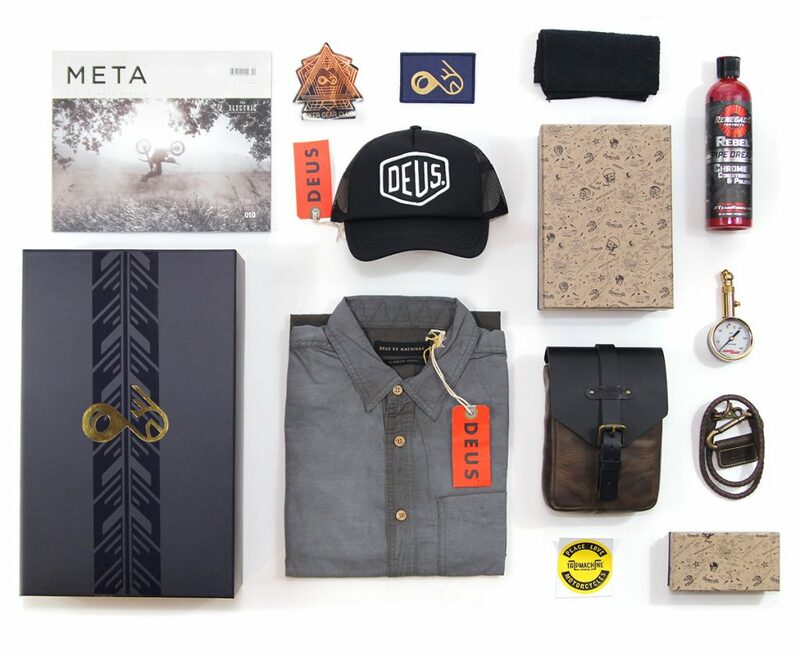 This is far more than just another bike magazine. Our members will get the chance to get this hard to find and rare reading material and others. This is one tool every biker needs to have and we know it. When was the last time you checked your tire pressure? You should be saying, before the last time I went for a ride. This pressure gauge from Cruz Tools is another one of our favorite standard tools we don’t go anywhere without, and neither should you. 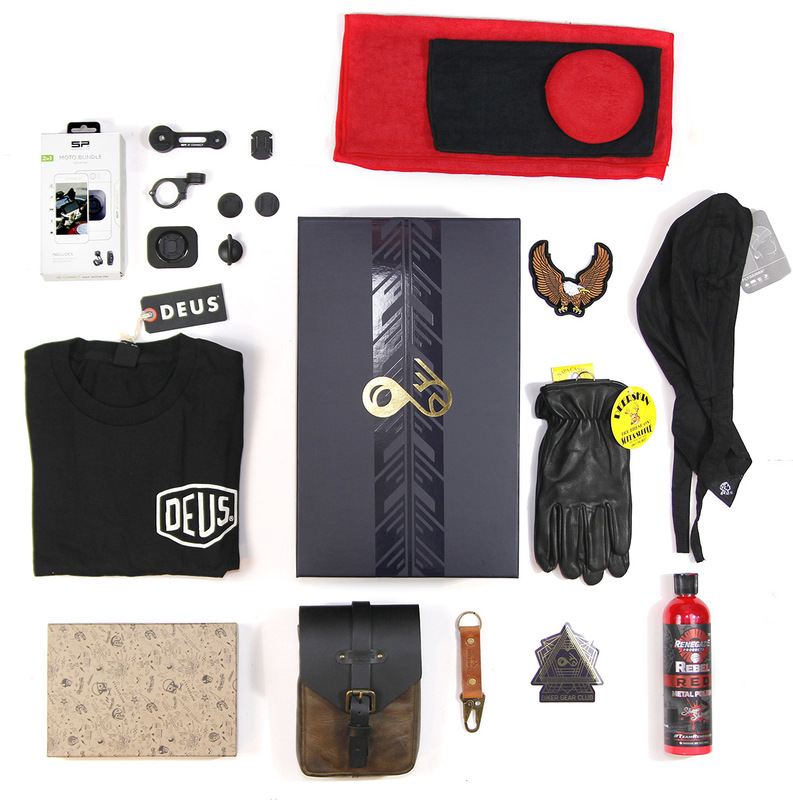 A biker’s subscription box just would not be complete without some kind of cleaning product. We are passionate about keeping our bikes clean, and this MOC Parts Cleaner is the right stuff for the job. It will not rust metal surfaces like some water-based cleaners. We know why Harley Davidson has been the business for so long. 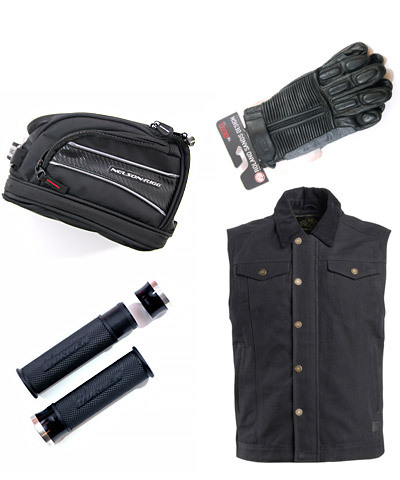 It’s quite simple, they make great quality products for bikers. It was a no-brainer to add something for Harley riders that was a sign of the iconic brand and quality in leather glove protection form. You know those cheap tools that your motorcycle sometimes comes with? Well, this awesome tool kit by Cruz Tools was designed specifically to replace that with premium tools with a lifetime guarantee. We have been long time fans of their quality tool kits and love to share these with bikers in need of a set. 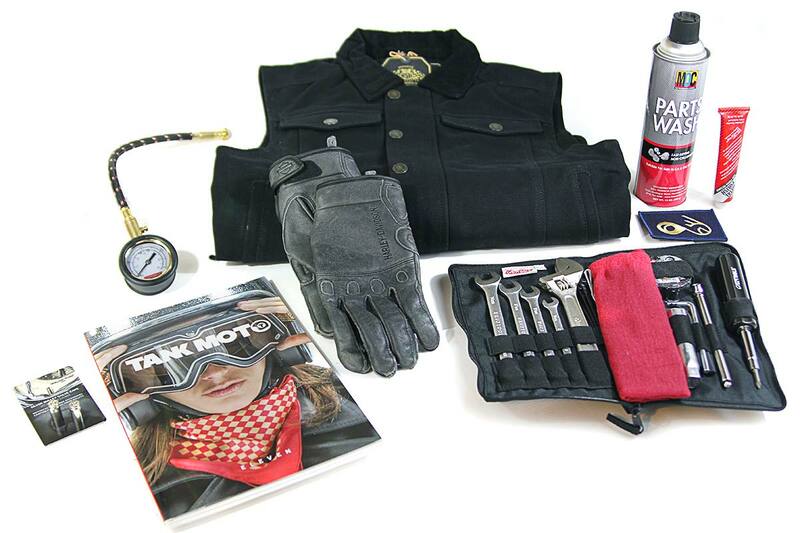 We found this product is a fantastic way to add tactical bling to your motorcycle. Hollow-Point Gear creates tire caps, handmade from recycled .40 caliber bullet casings. They are sturdy and stylish and sure to catch the eye of other riders. Remember, details are everything. This is another garage staple. Clean your Goldwing or Harley with it. Leaves a brilliant shine and removes the oxidation off of your motorcycle’s precious metals. A small tube goes a long way.